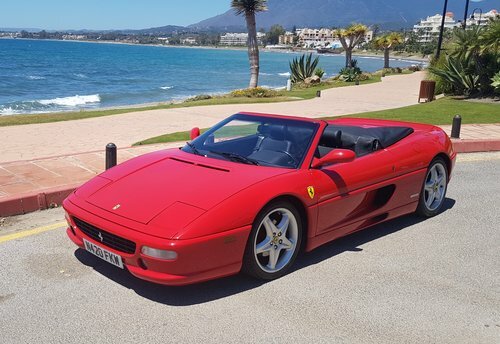 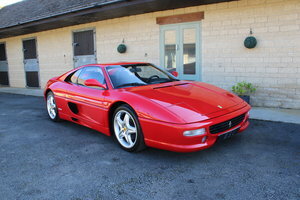 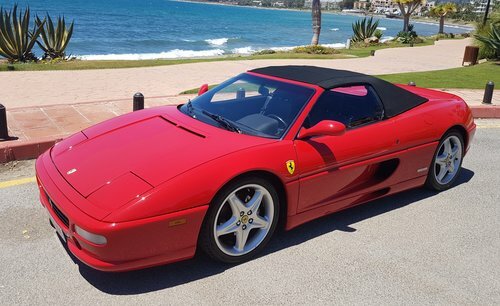 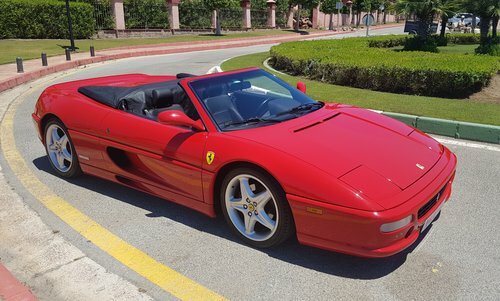 A stunning and a highly desirable manual Ferrari F355 Spider that has been meticulously maintained with no less than 15 services, having covered just 23000 miles from new. 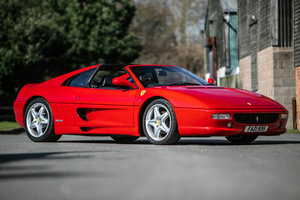 Beautifully presented in Rosso Corsa with full Nero leather interior with Nero carpets and a black electric roof. 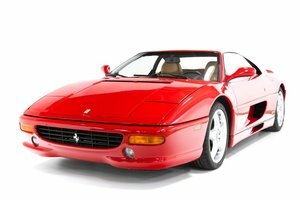 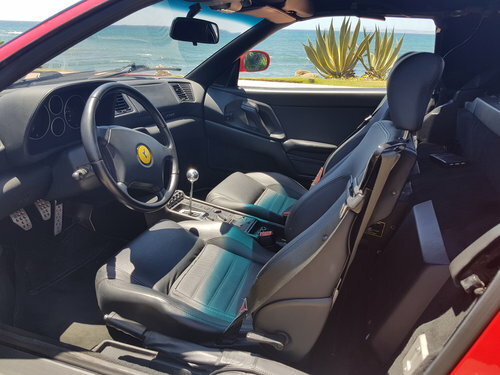 Factory fitments include: Electric seats and electric windows, Air Condtioning, Power steering, Scuderia Badges, Complete and unmarked leather bound original Ferrari factory tool kit and excellent sound system. 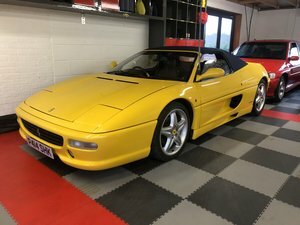 Simply outstanding in all respects and major service including belts carried out November 2018 and garaged since. 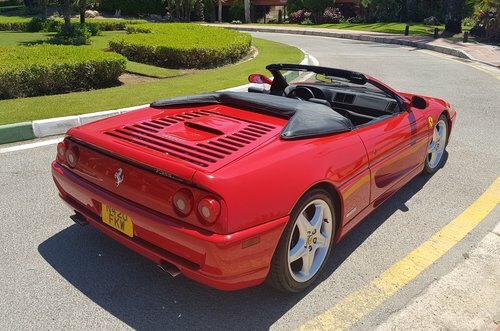 Finished in Rosso Corsa with Contrasting Crema Hide and Tan Carpets, F1 Semi-automatic gearbox, 1 of the 139 UK Right Hand Drive F1 Spiders produced, lovely example with good service history file. 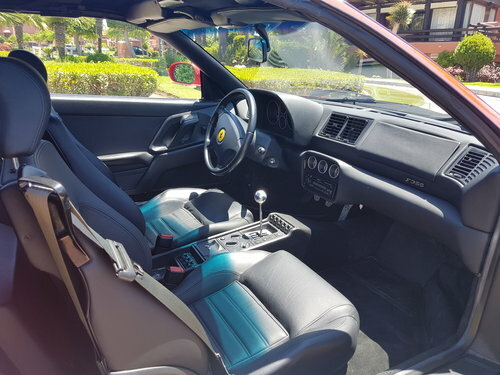 Finished in Giallo Fly with Contrasting Nero Hide With Bordeaux Stitching, Nero Carpets, Full Service History, One Of Only 361 UK RHD Manual Gearbox Cars, Stunning condition.